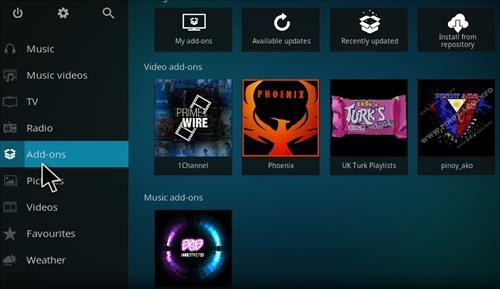 In this guide we will let you know how to install Raze Reborn Build on Kodi 17.3 Krypton, Which is the most stable version of Kodi So far. So we have decided to include it in our Top 10 lists of best Kodi 17.3 builds for July 2017. 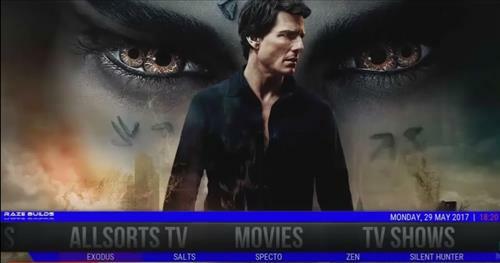 Here is another guide for installing Cosmic saint 4k Build on Kodi 17.3 Krypton. and also check Exadous build. The drill is quite simple. 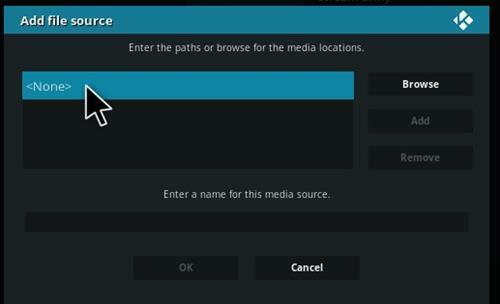 All you have to know is the basic Build installation on any Kodi version to make sure to correctly install any Addon on Kodi. All you have to do is follow this step by step guide. 6- Save it as Magic or any name you want. 7- Once done click on OK to save. 8- Now go back and click on Add-ons. 10- Click on the Add-ons Magic, Or any name you choose previously in step 6. 11- Select Install from Zip. 12- Now Select Magic or any name you given to add-on in step 6. 15- Once installed it will show on the top right of screen. Note: Now here you have all the liberty to go on for any Add-ons you want inside this repository to be installed on your device. So better go for the ones you really want to be added in the list. 16- Next click on Click Install from repository. 18- Click on Program Add-ons and then click on Ares Wizard. 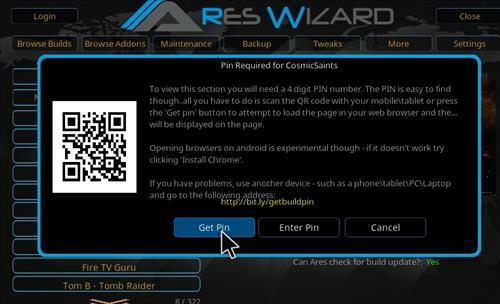 19- In Next Screen Click on Install, and once done you will see the Ares Wizard enabled on top left of screen. Note: Now you have to install other Add-ons. 20- Now move back to home screen and click on Add-ons again. 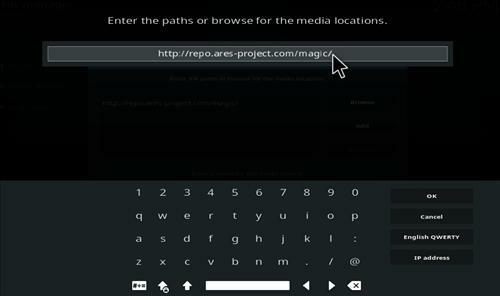 21- Click on Program Add-ons and then select Ares Wizard from the next step. 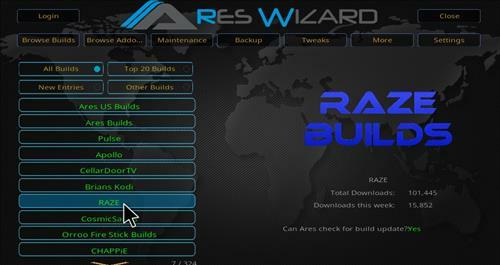 22- Now select browse Build and click on Raze Builds. 23- You might need this verification Pin code using a BR-code reader or simply going to the given web address. 25- Once done simply click on Raze Reborn Family Krypton from the shown menu and install it. 26- Next pop-up click on proceed. 27- It will start installing. If any pop-up shows click on No every time. 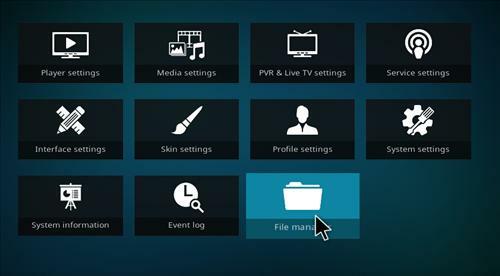 28- Once done a message will appear to restart Kodi after successful installation. 30- That’s it. Here is your new build. 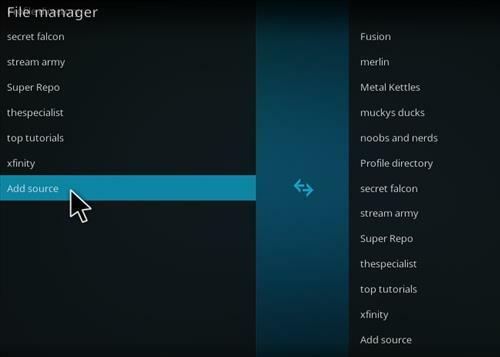 Hope this guide has worked for you and you have successfully downloaded and installed the Raze Reborn Build on Kodi 17.3 Krypton.